The scene at Tuesday night’s Village Council meeting to formalize the governing body’s opposition to The Valley Hospital’s “Renewal” plan was far from the raucous display at last year’s Planning Board meeting, when an amendment to the Master Plan was approved. The people who live near the former Pascack Valley Hospital say their health will be jeopardized if it doesn’t reopen. But some North Jersey hospitals say it is the region’s health care system that will be thrown into disarray if Pascack is revived. 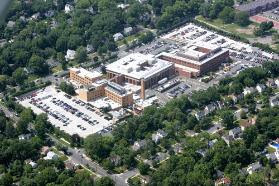 Last Updated Saturday March 22, 2008, EDT 9:48 AMBY BOB GROVESThe cost of Valley Hospital’s proposed expansion would threaten Ridgewood’s taxpayers and the future of the facility, critics charged. Valley’s $750 million plan to replace two of its older buildings with three new ones over the next decade could balloon, with interest, to $1 billion — and that would require the hospital to earn an additional $40 million a year for 25 years to pay it off, said Paul Gould. He is a member and spokesman of Concerned Residents of Ridgewood, a neighborhood group that has opposed Valley’s expansion plans for months. “Where will it come from?” Gould said. “Will we end up with another Pascack Valley?” The Westwood hospital went bankrupt and closed last year after building a $50 million addition. 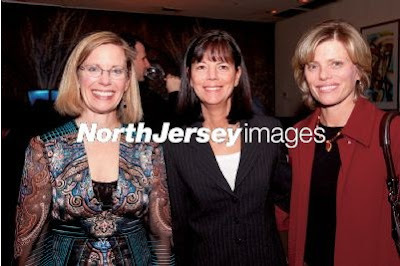 On the contrary, Valley’s plan “is vital to its success,” said Maureen Curran Kleinman, a hospital spokeswoman. The Ridgewood Planning Board is deciding whether to approve separate requests, by Valley and by Concerned Residents, for changes in the village’s hospital zone ordinances and master plan. Those changes would either allow the hospital to expand or preserve the surrounding neighborhood. Beyond financial concerns about the hospital’s plan, Gould and other members of his group worry how much Valley’s expansion would cost the village. “Taxpayers would absorb the additional infrastructure costs of roads, fire and police, which are paid for by the residents of Ridgewood,” he said. If, for example, Valley increased its occupancy rate from its current 87 percent to 100 percent, to help pay for the expansion, that could add 80,000 car trips on village streets to the hospital per year, on top of 600,000 vehicle visits already made there annually, Gould said. While other area hospitals have expanded or renovated in recent years, Valley’s $750 million plan is one of the most ambitious. Gould’s group is worried that Valley will suffer the same fate as Pascack Valley, which succumbed to a $100 million annual debt after it opened an addition. The hospital closed in November. “We do not want another bankrupt hospital,” Gould told the Planning Board during a public hearing this week. But Valley officials say the hospital is not in financial danger. Valley would finance the first phase of its expansion, estimated at $420 million, through tax-exempt bonds, fund-raising and existing cash, “as is typical financing for not-for-profit hospital projects,” Kleinman said. Even after the project is complete, Valley’s debt will be “manageable and moderate in comparison to other hospitals,” Kleinman said. Gould conceded that Valley “is very profitable today,” he said. At a time when many of the state’s hospitals are struggling financially, Valley hospital has $225 million in cash and investments and a $46 million debt, according to tax filings. Revenue increases by 8 percent each year, Gould said. But to pay for the hospital to pay for the expansion, Gould said, net patient revenue would have to increase by an additional 8 percent a year. How will the hospital do that when it’s only adding three more beds to its current 451? he asked. Valley officials have repeatedly said their building plan is being done to bring the hospital up to modern medical standards, not to bring in more patients. Will the hospital have to increase what it charges patients? the neighborhood group asked. The neighborhood group also claims that the Planning Board, through its attorney and other professional advisers, has already been negotiating with Valley officials about some terms of the expansion before it has been approved. David Nicholson, chairman of the Planning Board, said its professionals had met with Valley officials, but denied that they had “negotiated” any of the proposal. “The implication that this matter is already decided is simply not true,” Nicholson said. Kleinman said the hospital met with village professionals to discuss the hospital ordinance and make a recommendation to the Planning Board, but not to negotiate terms of the proposed expansion. Last Updated Tuesday March 11, 2008, EDT 9:01 AMBY BOB GROVESThe Valley Hospital needs more space to handle advances in medical technology and provide better patient care, officials said Monday. About 200 people, including supporters and opponents of Valley’s expansion plans, attended the public hearing. Valley’s $750 million plan includes adding a parking deck and replacing two buildings with three new ones, increasing the hospital’s size by 67 percent. Although modern surgery involves less-invasive techniques, it requires bigger equipment than can be accommodated by Valley’s existing operating rooms, Meyers said. Under the plan, Valley would add just three beds to its existing 451 beds, but the hospital wants to make all its room private in keeping with current standards of care, Meyers said. The population of Valley’s service area is relatively stable and expected to grow by only 4 percent in the next 10 years, she said. “The demand for change at Valley will be driven by changes in technology and patient care delivery,” she said. Opponents say the proposed 80-foot-tall hospital buildings don’t belong in the residential neighborhood because they would overshadow homes as well as Benjamin Franklin Middle School. Answering concerns by nearby residents that the expansion would increase traffic, Meyers said that the hospital’s nine off-site facilities have already eliminated more than 673,000 car trips per year to the hospital’s main campus. Tuesday night’s special Planning Board meeting at George Washington Middle School was its fourth public hearing on Valley’s proposal. The next meeting will take place next Tuesday, when Concerned Residents of Ridgewood, a group that opposes the hospital’s plan, will make their arguments before the Planning Board. In January, the residents group applied to amend the village Master Plan and its hospital zone ordinance to “limit its impact on the community and preserve the village’s residential character.” The group also asked the Village Council and the Planning Board to amend the ordinance to change the minimum distance — from the current 40 feet, to a proposed 80 feet — that hospital buildings must be set back from North Van Dien and Linwood Avenues. “We want further clarification about whether the hospital has changed any of its positions from 12 months ago — particularly the magnitude and scale of the proposed development — following the public outcry,” Paul Gould, a member of the group, said before the meeting. The Fly wonders if Ms. Meyers, The Valley’s President and CEO, and Ms. Fraser, her Director of Marketing and Public Relations, were trying to ensure favorable print media coverage of The Valley’s Renewal Plan. A picture is indeed worth one thousand words . .